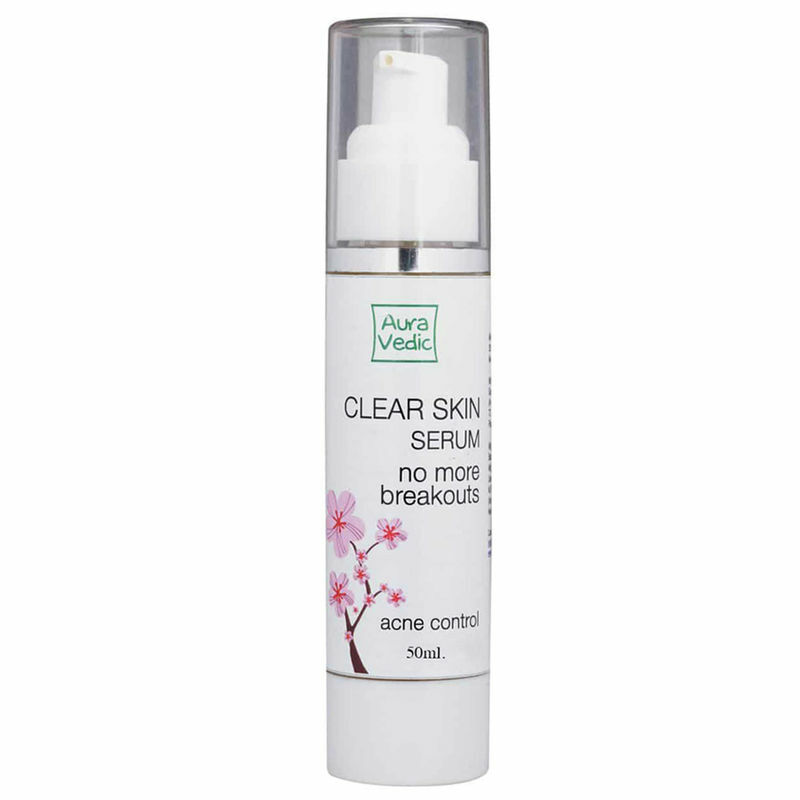 Auravedic Clear Skin Serum is a gentle, hydrating formula with powerful acne fighting natural extracts helps clear and treat acne without dryness or irritation, helping you manage excess oil and infusing skin with the healthy moisture that soothes, calms and restores red, acne - stressed skin. 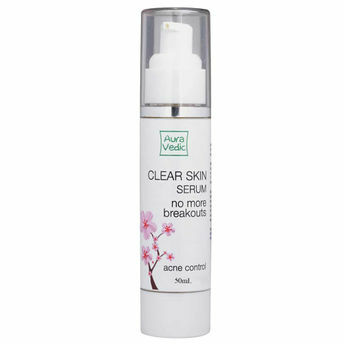 It fights blemishes at their source, helping treat, clear, and prevent future acne outbreaks. This lightweight, gentle yet effective, moisturizing base helps clarify, and leave skin feeling fresh and hydrated. Ideal for most skin types, continued use provides positive reinforcement.